Want to know the Contact Information? Masilmani Jeganmohan was born in Vazhapattampalayam, Tamilnadu, India in 1978. He received his bachelor degree from St. Joseph’s college (Cuddalore), University of Madras in 1998 and his master degree from University of Madras in 2001. He earned his Ph.D. from National Tsing Hua University, Taiwan, under Prof. Chien-Hong Cheng in 2005 and pursued postdoctoral work in the same laboratory (Aug 2005-July 2009). Then he joined as an Alexander von Humboldt fellow in Prof. Paul Knochel’s group, Ludwig-Maximilians-Universität, Germany (Sep 2009-Oct 2010). In November 2010, he joined as an Assistant professor in IISER Pune. 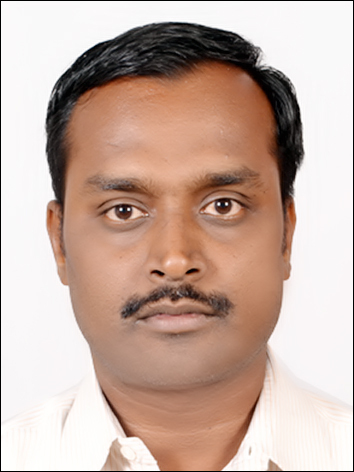 He has promoted to Associate professor in april-2016 at IISER Pune. In October-2016, he has shifted from IISER Pune to IIT Madras as an Associate professor. At present, he is working as an Associate professor at IIT Madras. 2012 - 2015, Science Academy Medal for a young associate, Indian Academy of Sciences, Bangalore, India. September 2011, DAE Young Scientist Research Award, BRNS, BARC, India. Nov 2009 – Oct 2010, Alexander von Humboldt fellowship, Germany. August 2005 – July 2009, National Science Council Fellowship (NSC), Taiwan. 2003 - 2005, Best Foreign Student Award, National Tsing Hua University, Taiwan. The development of highly efficient, easily accessible and environmentally friendly method to construct carbon-carbon and carbon-hetero bond formations is always an ultimate goal in organic synthesis. Metal‑catalyzed or metal‑mediated reactions have been well-recognized as a powerful synthetic tool in organic synthesis. Our research will be mainly focused on developing new synthetic methodologies by using transition metal complexes and main group metal reagents. We would like to investigate metal-catalyzed or metal-mediated coupling, cyclization, addition and C-H bond activation reactions, particularly by using less expensive and non-toxic metals such as Fe, Mn, Co, Cu, Zn, Ti, Zr and Zn. By employing metal complexes and chiral ligands, the investigation of chiral reactions will also be in consideration. In mean time, total synthesis of biologically active molecules will be pursued. Transition-metal-catalyzed C-H bond activation / functionalization. Synthesis of Natural products and biological active compounds.